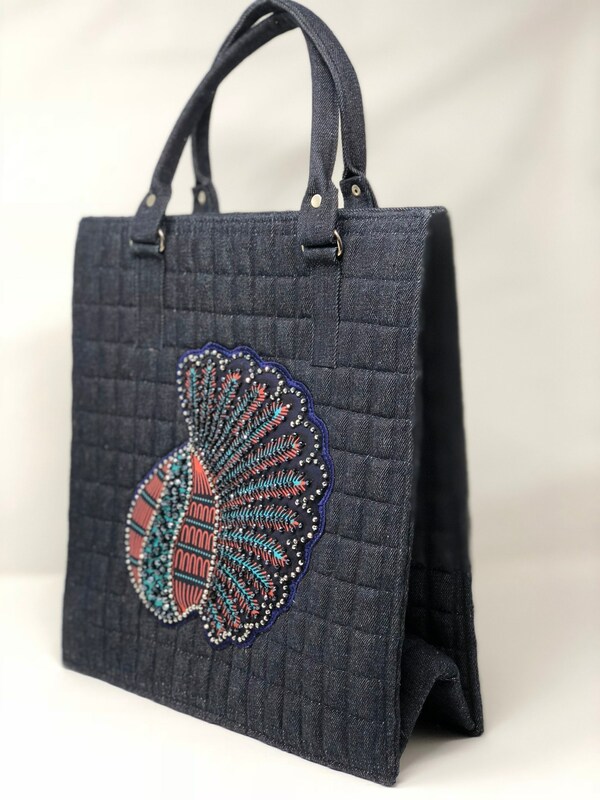 A beautiful handmade medium size dark denim tote handbag. One of a kind and not duplicated. 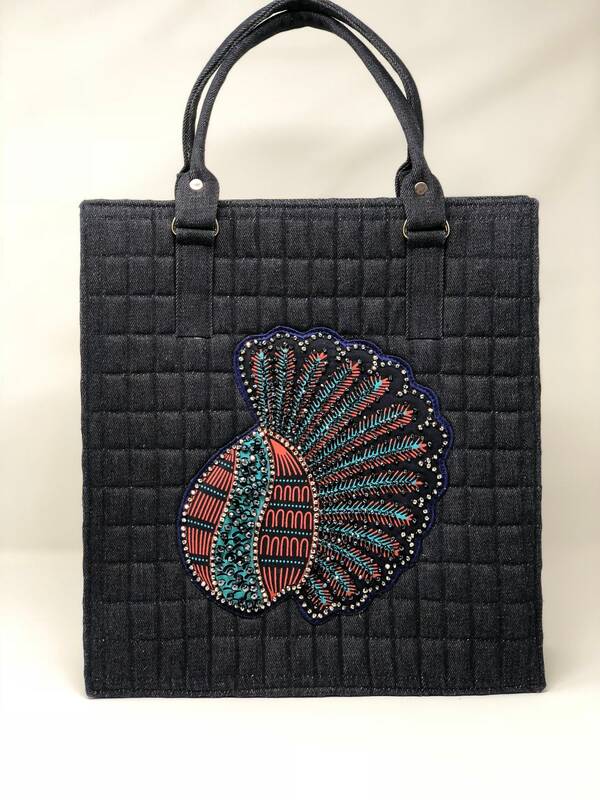 It's adorned with a classic African printed fabric that is embellished by hand-beaded crystals to give it an extra special touch.This bag is very sturdy and will look better as it ages. Although the crystals have some shimmer, it's an ideal accessory that can be worn with a dressy and/or casual outfit. 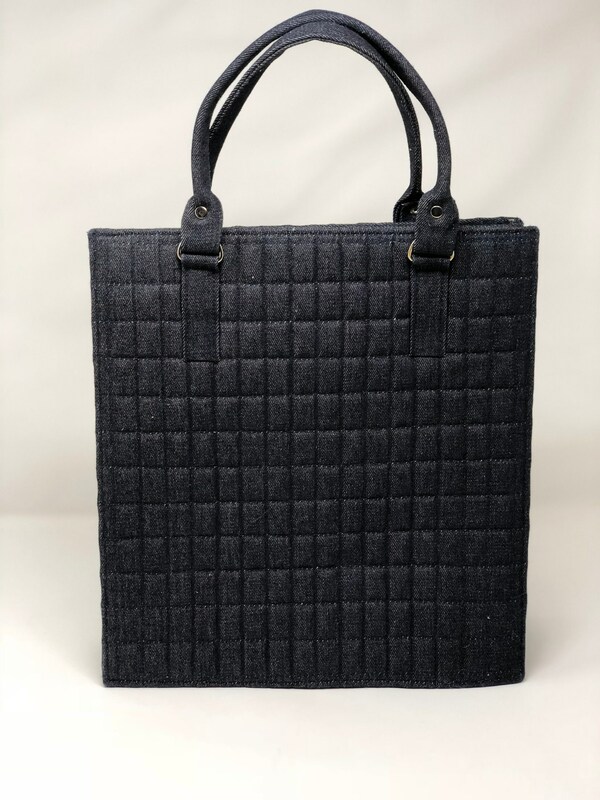 It is a great statement bag that can fit all your basic necessities and very ideal for a professional that carry a laptop computer. The interior has 2 small open pockets to hold your keys, cards etc and a larger zippered pocket to hold more of your items. 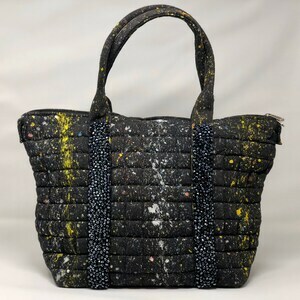 The bottom of the bag has a wooden base to keep the base flat and it can easily be removed to facilitate folding down the bag when traveling. 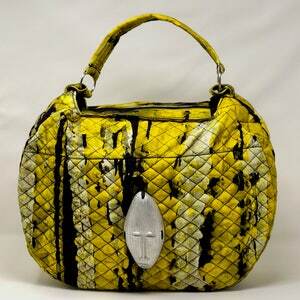 The bag is very sturdy and padded to ensure that your carried items are protected. 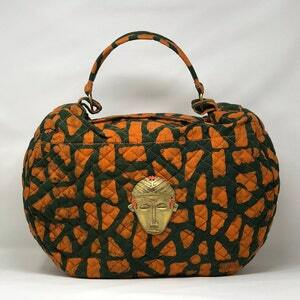 The fabric, made out 100% organic unbleached cotton turned into Denim from Benin, wears very well. 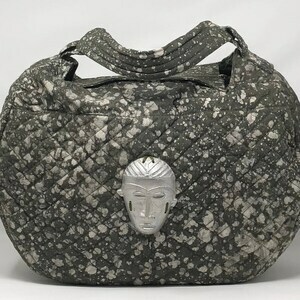 This is the kind of bag that will look better as it ages. 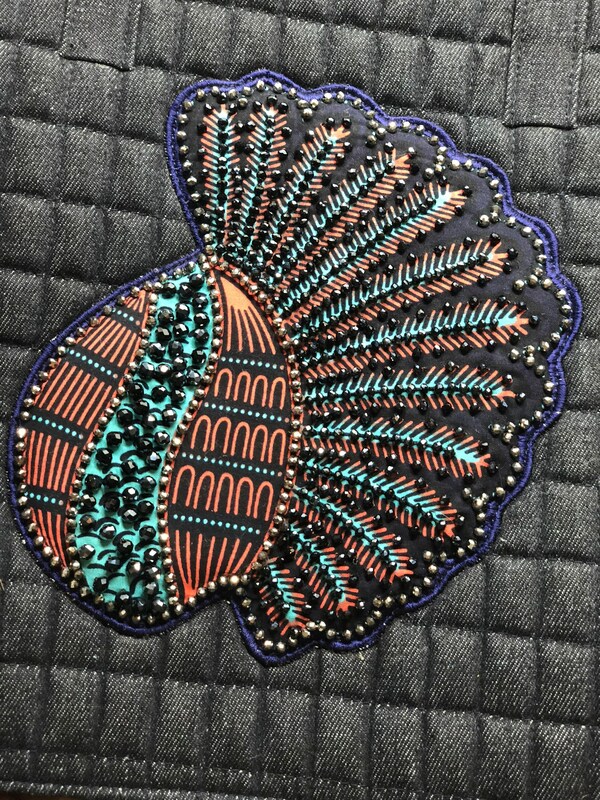 By purchasing our products, not only are you buying a unique lifestyle item that will elevate and amplify your wardrobe but also, you are contributing to a philanthropic act towards the hard-working artisans and employees of OLOWOU. These highly valued individuals earn a living from OLOWOU that allows them to provide good educational opportunities to their children and live a comfortable lifestyle. Because we believe in never stopping to learn and are strong advocate for growth, we strive to support and better train our employees so they can continue to develop as strong members of our organization by improving their craftsmanship and showcase talents that would otherwise be hidden, as well as make good use of the best organic cotton in the world abundantly available in Benin.